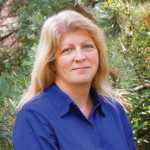 Question: What happens when you bring decision-makers from some of the largest specialty crop growers in the East together with suppliers for one-on-one strategic meetings? Answer: Ideas are shared, brainstorming occurs, problems are addressed, and potential solutions are brought forward. 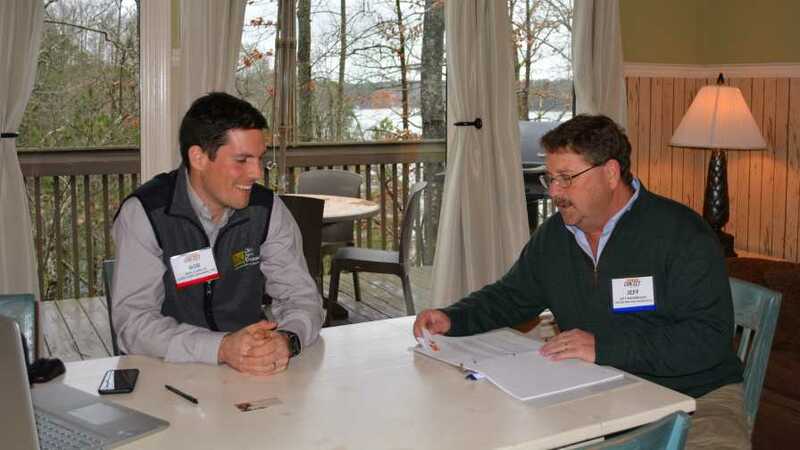 These meetings occurred in early February at the EasternGrowerConnectSM, an event which was held at Lake Lanier Islands in Buford, GA. Growers and suppliers took part in two days of 50-minute, one-on-one meetings among influencers. Before heading to Georgia, each grower took part in an in-depth interview to discuss areas of interest and issues impacting their respective farms. Knowing in advance the areas of importance to each farm, suppliers came prepared to talk to each operation they met with — and focused on solutions to those problems. It is the quality time you get to spend with specific vendors that makes EasternGrowerConnect worthwhile, explains Charles Wingard, the Vice President of Field Operations at Walter P. Rawl & Sons, which has vegetable growing operations in South Carolina, Florida, and Mississippi. Kevin Coggins, the owner of Hidden River Farms in Georgia, an operation producing vegetables, blueberries, and pecans, agrees learning about products that will help him be a better farmer is a valuable use of his time. “There are a lot of new [products] out there that you have an opportunity to see, and have the time with those vendors, one-on-one, where you can ask questions and talk about things,” he says. 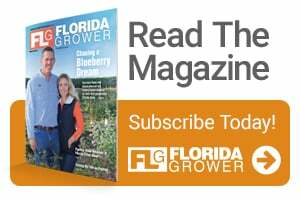 Jim Gravley, Principal at Old Florida Citrus LLC, is on the same page. “It’s crucial to truly understand all that is available on the market today,” he adds. On the supplier side, EasternGrowerConnect provides vendors an opportunity to open a dialog with each grower they schedule a meeting with. Kicking off the 2018 EasternGrowerConnect was the grower roundtable where participants talked about issues impacting their respective operations, which included everything from labor to weed control to getting the story of ag to the masses. Gravley says the roundtable was a good ice-breaker and it also allowed growers to discuss issues shared by all. “I would be very surprised if there was a grower that walked out of that room without several new ideas to go home to implement,” adds Wingard. The 2019 EasternGrowerConnect is scheduled to be held Feb. 5-8 at Wild Dunes, Isle of Palms in South Carolina. Go to EasternGrowerConnect.com for more information.